Legal analysis: Witnesses often think they're in the clear if they say they "don't recall" something. If that's a lie, they could be in big trouble. 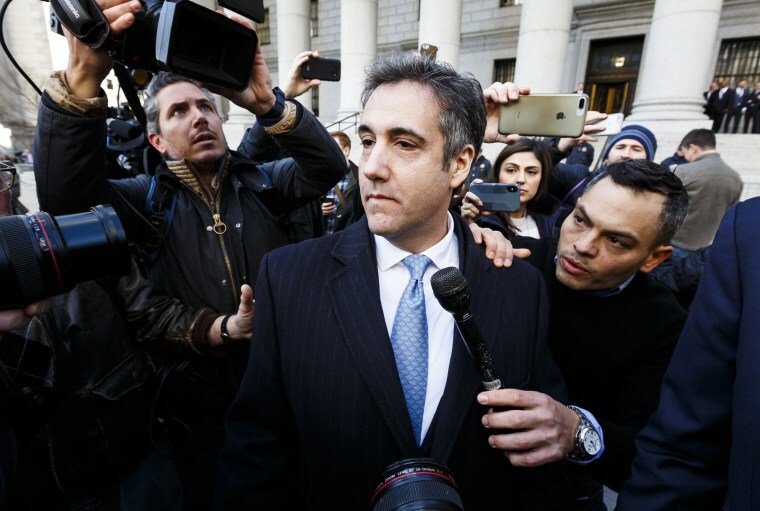 When Michael Cohen, President Donald Trump's former longtime personal attorney, pleaded guilty in federal court in New York on Thursday to lying, his plea was not to a charge of perjury. Instead, he was charged with lying to Congress under the federal false-statements statute. The unusual charge was a stark reminder: Lying to Congress can be a crime, even if the lie is not told while under oath. Lying to Congress under oath is the crime of perjury. The federal perjury statute applies only to those who "willfully" lie under oath, or under penalty of perjury. On the other hand, Section 1001, the federal false statements statute, makes it a crime "in any matter within the jurisdiction of the … legislative … branch of the Government … knowingly and willfully ... [to] make[ ] any materially false, fictitious, or fraudulent statement or representation." Those "matters" include any investigation by any committee or subcommittee of the Congress, such as the Senate Select Committee on Intelligence — one of several congressional committees charged with investigating Russian interference in the 2016 election, and the one that Cohen admitted in court to misleading. Importantly, there is no oath requirement in the federal false statements statute, and consequently, no oath requirement for a charge of lying to Congress. The president has said that special counsel Robert Mueller's investigators are looking to trap witnesses by scouring their answers for minor inconsistencies — and then using weak charges on inconsequential matters to bully a witness into cooperating. "I’m sure they are tricked up because they like to catch people," Trump said. "Was the weather sunny or rainy? He said it may have been a good day. It was rainy and he told a lie and perjured himself. You have to be careful with people who have bad intentions." Republicans on Thursday argued that Cohen's admission still offered no evidence of collusion between Trump's 2016 presidential campaign and Russia. Sen. Lindsey Graham, R-S.C., branded the charges brought by Mueller's office against individuals so far as "process crimes." Rudy Giuliani, Trump's personal attorney, has also suggested that Mueller is unable to prove collusion — one prong of the federal investigation into Moscow's election interference — and is therefore grasping at straws. "Hysterical coverage of Cohen plea" misses the point that "Mueller's crew has no evidence of collusion," Giuliani tweeted Friday morning. "Along the way, however, he is keeping America safe from false statement makers or people with faulty memories or both." Hysterical coverage of Cohen plea. It misses point that ,once again like Corsi leaked documents demonstrate, Mueller’s crew has no evidence of collusion. Along the way,however,he is keeping America safe from false statement makers or people with faulty memories or both. It is true that a false statements charge is a popular prosecutorial tool used against witnesses who try to massage the truth to FBI agents who visits them at work for an unexpected interview. But it's not true that prosecutors routinely charge Section 1001 based on lies about whether the weather was "rainy or sunny." For Mueller's prosecutors to charge Cohen with lying to Congress, his false statements had to be material to the investigation. To establish this “materiality” requirement, the government must show that the statement had a tendency to influence, or was capable of influencing, the decisions of the congressional or other body to which it was addressed. That second part drastically expands the law's reach: The statement isn't required to have an actual effect on a congressional committee decision. As long as the statement was "capable" of influencing the decision, it's "material." A common mistake that witnesses like Cohen make is lying about what they don’t know or don’t recall. Among criminal defendants, not knowing things is a good thing; it’s better for those with criminal liability to know less, not more. There's also misguided belief among deceptive witnesses that claiming lack of knowledge or memory is less risky than offering false information. “After all,” the thinking goes, “how can they prove I know something if I say I don’t know it? How can they prove I remember something if I say I don’t remember it?" This is dangerous thinking. This witness usually finds that the government can indeed prove the witness knew something. A “no knowledge” or “no information” statement that could influence a committee’s decisions qualifies as a false statement. A review of Cohen’s statements in the criminal information reveals a witness who, like many witnesses, took unnecessary risks. The prosecutors seized on that linguistic overreach. Would the result have been different if Cohen simply stated: “I decided not to ask [Donald Trump] to travel for the Moscow Project?” Perhaps. But "never considered?" That's an unnecessary commitment to an vulnerable position; the government needs only to demonstrate that a subject flashed into Cohen’s brain to show that he did indeed “consider” the subject. In a sense, Trump is right that witnesses who give false statements to federal investigators or congressional committees often become criminal defendants, and then sometimes become cooperating witnesses. Trump is wrong when he suggests prosecutors are looking to advance their careers by charging witnesses who incorrectly answer that the weather was “rainy,” when it was “sunny.” Unless, of course, the specific subject of rainy or sunny weather is “material” to the investigation, and the rainy weather is capable of influencing a congressional committee’s decision. In that narrow, unlikely hypothetical situation, the president could be right. Danny Cevallos is a legal analyst for NBC News.